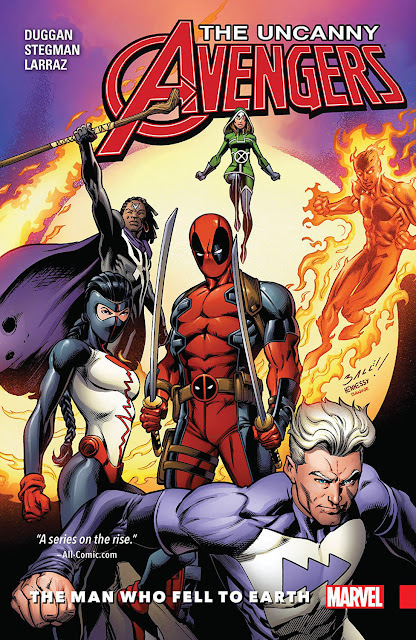 The Uncanny Avengers are up for a Standoff in Pleasant Hill! Hank Pym, original Avenger and creator of Ultron returns! With completely unexpected help from time-travelling mutant superhero Cable, Avengers Unity Division successfully prevented a dystopian "Lost Future" from happening. Afterwards, Commander Steve Rogers led his team into the fiasco of S.H.I.E.L.D. 's Pleasant Hill project created by Kobik, a sentient Cosmic Cube taking form of a young girl. Information about this was eventually leaked on web and Maria Hill claimed the program being shut down with pieces of it destroyed completely. However, Rogers found this not to be true and his Unity Squad team is called for helping in a manhunt. Jericho is summoned by his deceased brother Daniel Drumm to help him return to the world of living. 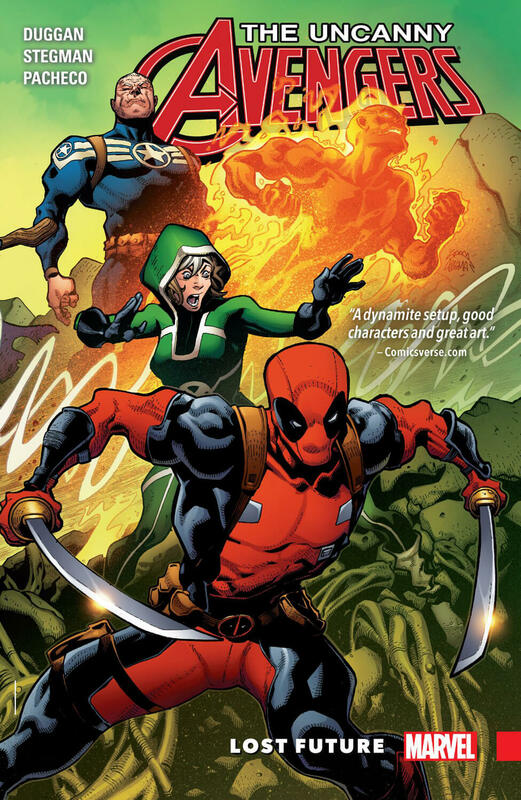 Cable, Deadpool, Doctor Voodoo, Rogue and Synapse chased down super-villain Wrecker of the Wrecking Crew, who was trying to make a break for it from Pleasant Hill along with Maria Hill. So, now they all fight back group of S.H.I.E.L.D. operatives who came to take them in and then another Maria Hill arrives in a Quinjet starts shooting at them. Reality around them starts bending and next day they all wake up as different persons living in Pleasant Hill, Connecticut. 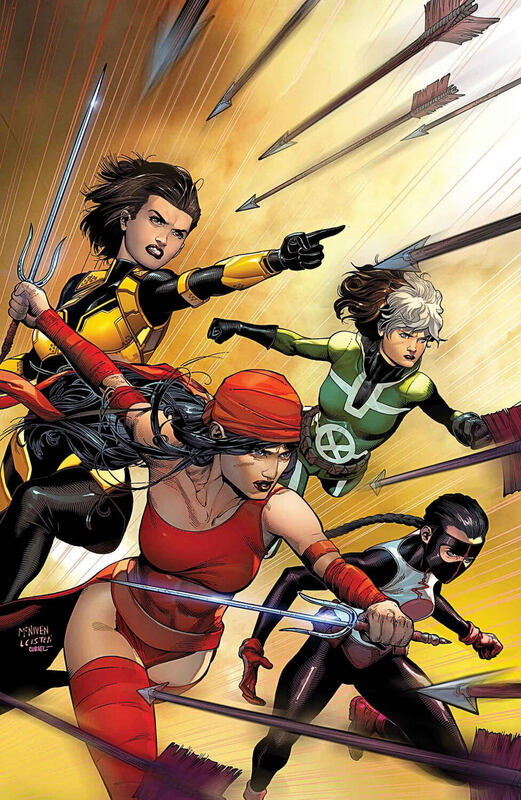 Rogue is the first one among them to sense it and wake up rest of her team to get out of this reality-warping super-villain prison. She then assembles rest of her teammates from their reality to form a resistance. After causing genocide to millions of souls among the stars, long-lost team member of The Avengers; Hank Pym finally returns to Earth. Rogue was the one who stumbled onto him first while she was headed towards saving Soyuz Capsule from crushing. 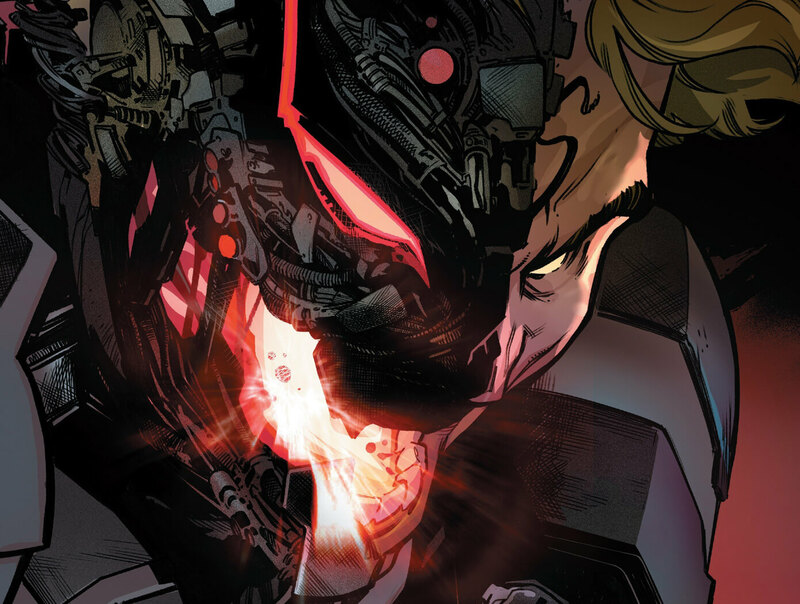 Hank's body was merged with Ultron during their previous battle and was lost to all. Hank believed that he was forgotten but he was actually thought dead by his friends because of what happened to him. Rogers was busy taking down some extremists in wildlife reserve of La Reserva with Deadpool and she took Hank right there. Hank Pym claims that he has taken control over his creation when rest of their teammates are gathered at Cap's location. Cable asks him to submit his suit for peer review but he reveals that there is not much organic part left, now that he is a singular being with Ultron. Hank flies off to Avengers Mansion and Cap tells Rogue to keep an eye on him. For acting weirdly out of his character, Cable, Deadpool, Doctor Voodoo, Human Torch, Quicksilver and Synapse were already pretty skeptical about his credentials from beginning though and then he blows up his own memorial claiming it's a lie since he is still alive. He joins active duty with Unity Squad right from that moment. His ex-wife Janet van Dyne was informed about his return by Steve earlier and during a mission in subway, Wasp casually joined to welcome Hank back, who is overjoyed to see her and she called him away to have a talk with him. However, she saw through him when Hank missed the Ghostbusters reference or wanted to go to Montauk. When he walks into the theater, Cable starts pushing Hank with some facts that finally made Ultron reveal his true nature. A blast takes down their entire headquarter along with Cable and Human Torch in it. Janet took him down with an EMP burst to slow him down for a moment when Vision enters the scene to confront his father. Here is your links to buy "Uncanny Avengers – The Man Who Fell to Earth" from Marvel Comics in issues on Amazon. 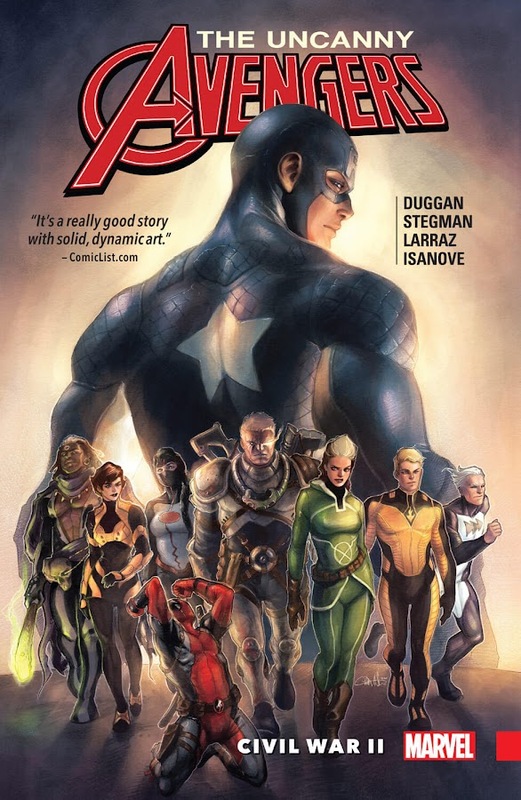 Here is your link to buy "Uncanny Avengers – The Man Who Fell to Earth" from Marvel Comics on Amazon. The third monthly ongoing series of Uncanny Avengers is back with second storyline of their run on 2016, which collects issues #07-12 from the aforementioned series of Marvel Comics. 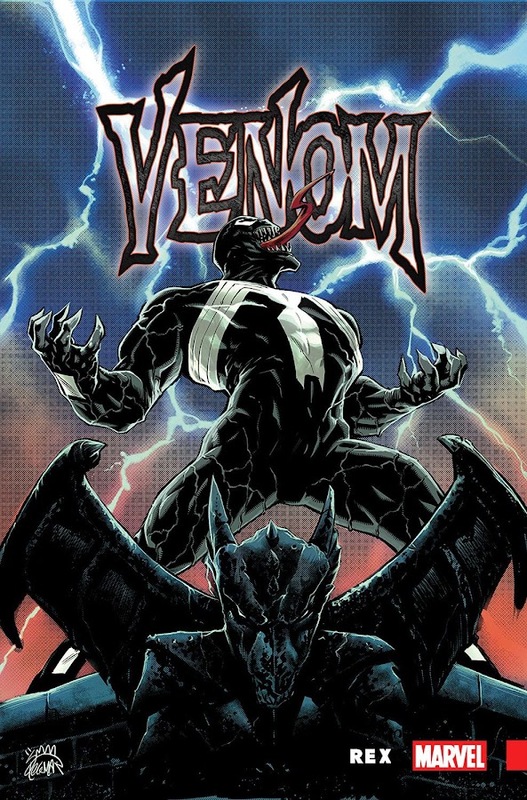 This plotline is written by veteran comic-book writer Gerry Duggan (Arkham Manor, Hawkeye Vs. Deadpool), who is the current series regular narrator. 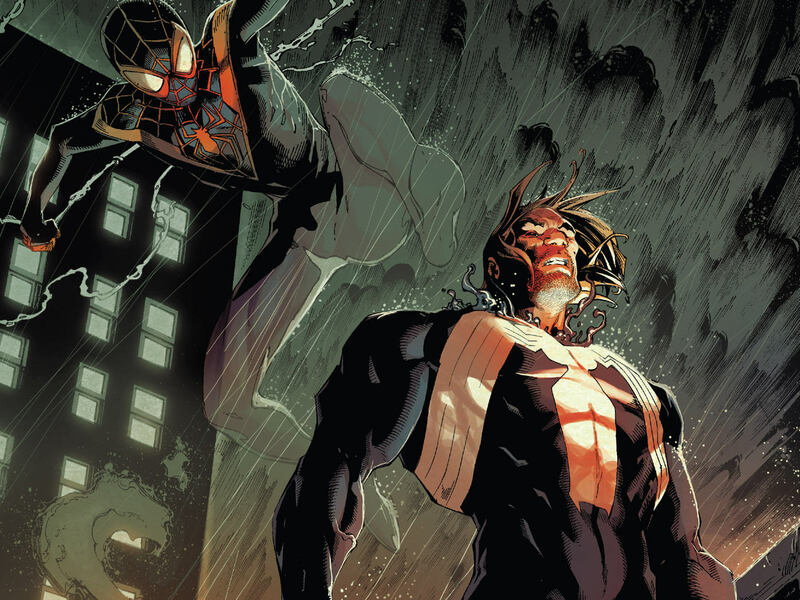 Artists Pepe Larraz (Fear Itself – The Home Front, New Avengers – Luke Cage) and Ryan Stegman (Scarlet Spider, Wolverine) assisted him with drawing. It is a tie-in to "Avengers – Standoff!" crossover event and served as part of that story. Professor X and Gambit of X-Men made short cameo in between to tease their involvement in future. Titled "The Man Who Fell To Earth", the storyline features the return of one of the greatest threat to Marvel Universe; Ultron, who is now one with his creator Hank Pym (since the events of Rage of Ultron); a founding Avengers member. Captain Marvel and Iron Man also appeared throughout their clash even though they weren't part of any fight. Before the series even begin and Steve Rogers could assemble the new heroes, there was a hunt for Nazi super-villain Red Skull, which is also teased for a brief time. 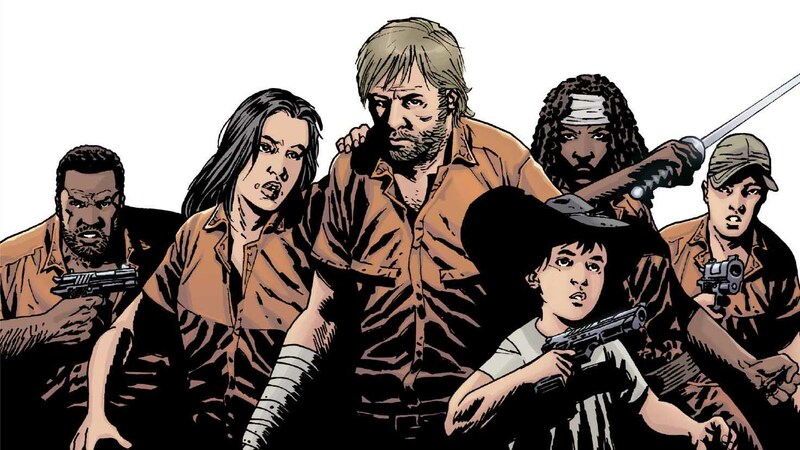 The series will later continue with another tie-in to get our heroes involved in another major event; Civil War II and more shocking turn of events will literally shake the core of the team! 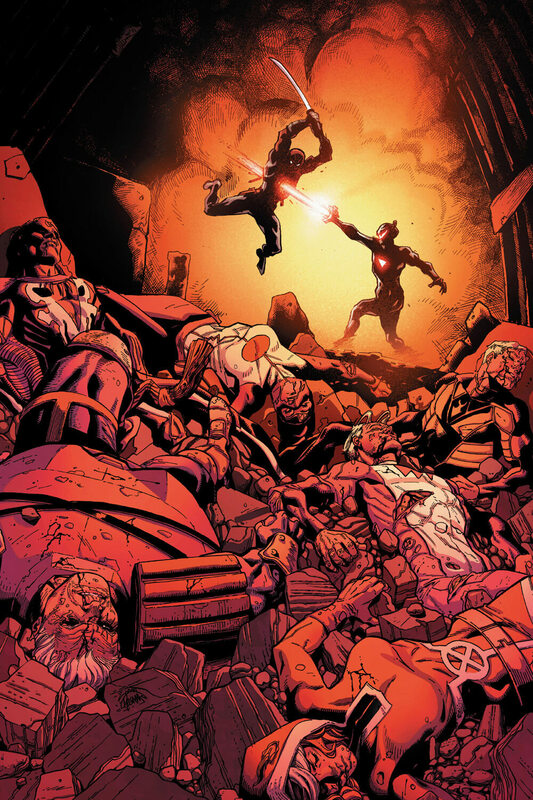 Though most of the world thought that Black Bolt; king of The Inhumans has died fighting The Mad Titan; Thanos, he and his insane brother Maximus the Mad were actually busy taking care of some secret business with New Avengers (Time Runs Out). Maximus taunts his brother by keeping him locked up in a hotel room in New York from where they can see New Attilan on Hudson River. He brings two ladies he picked up from bar to introduce with his brother, King Black Bolt but when they saw him, they ran off scared. 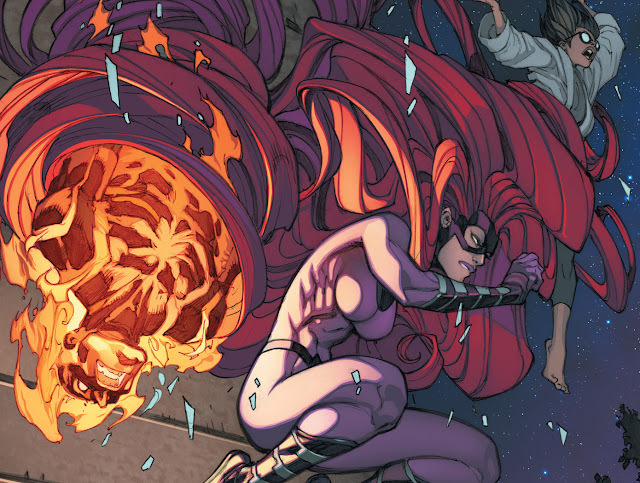 Losing their home after Thanos's invasion on Earth, Medusa is now the ruler of remaining Inhumans on New Attilan. A former police officer turned Nuhuman, Nur and an old member of Attilan security force, Auran is summoned and tasked by Queen Medusa to locate her husband after she took a short interview of their new security recruit. The duo eventually discovers the Boltagon brothers in a nightclub and tries to bring them in but Maximus soon turned the table by making Black Bolt unleashing his powerful voice on them. Knowing what Black Bolt is capable of, Auran quickly pushed Nur away seconds before being vaporized by quasi-sonic energy. Losing his partner defending his life, Nur returns to Attilan and angrily delivers Gorgon and Medusa news of their encounter with her husband as well as his maniacal brother Maximus at Tribeca, New York. Gorgon, Inferno and Nur prepare to go looking for them again with help from Eldrac the Door. Though Gorgon was seemingly unsuccessful convincing Eldrac but Nur eventually made him listen to them. Reaching Himalayas, they found Maximus and Black Bolt but only to tremble before the latter's earth shattering voice as they tried to apprehend. All three of them were struggling with their lives when Maximus was making his brother scream again and again. However, the encounter doesn't end well for Maximus but worked out fine for Black Bolt in the end anyway. 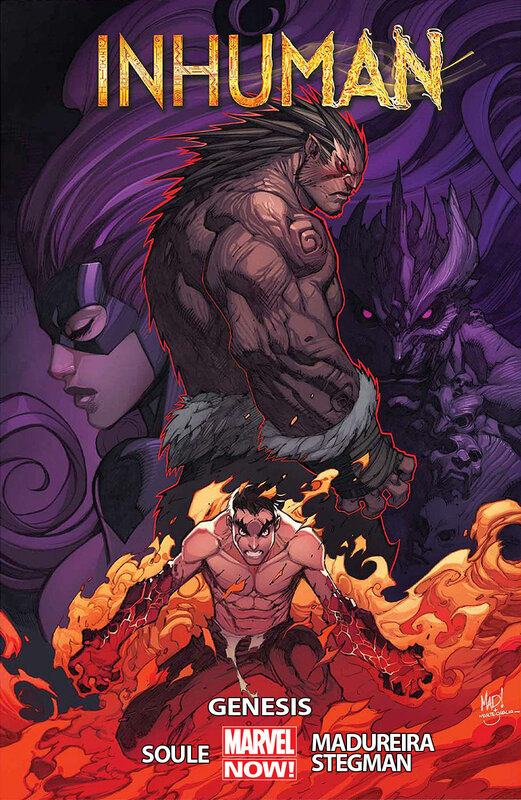 Inferno and Nur argues whether to take him back or not but Gorgon reminds them that Black Bolt is a King and they cannot take him back if he didn't wish to return. Meanwhile, Inhuman Reader and his powerful new recruit from China, Xiaoyi struggle to get back home from clutches of Ennilux Corporation. New Attilan sees an all-new Medusa on the funeral of Inhuman Royal Family medical regent, as a result of "Inversion Spell". She went to the general assembly of the United Nations infuriated and made a scene, which led her to a brief clash with Spider-Man. Then when she went out in civilian attire to re-discover herself apart from being a Queen, New Attilan fell under attack from Ennilux. 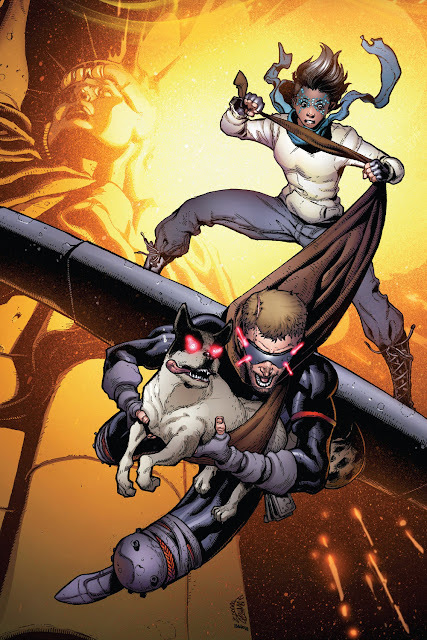 Here is your links to buy "Inhuman – AXIS" from Marvel Comics in issues on Amazon. Here is your link to buy "Inhuman – AXIS" from Marvel Comics on Amazon. Serving as a tie-in storyline of "AXIS" crossover event, this one is the second arc from Inhuhman monthly ongoing series, collecting issues #07-11. The story is plotted by writer Charles Soule (Death of Wolverine – The Logan Legacy, Death of Wolverine – The Weapon X Program) while artist Pepe Larraz (Avengers – Rage of Ultron, Spider Island – The Amazing Spider-Girl) and Ryan Stegman (Fantastic Four, Scarlet Spider) contributed to cover and interior arts of the story for Marvel Comics in 2015. 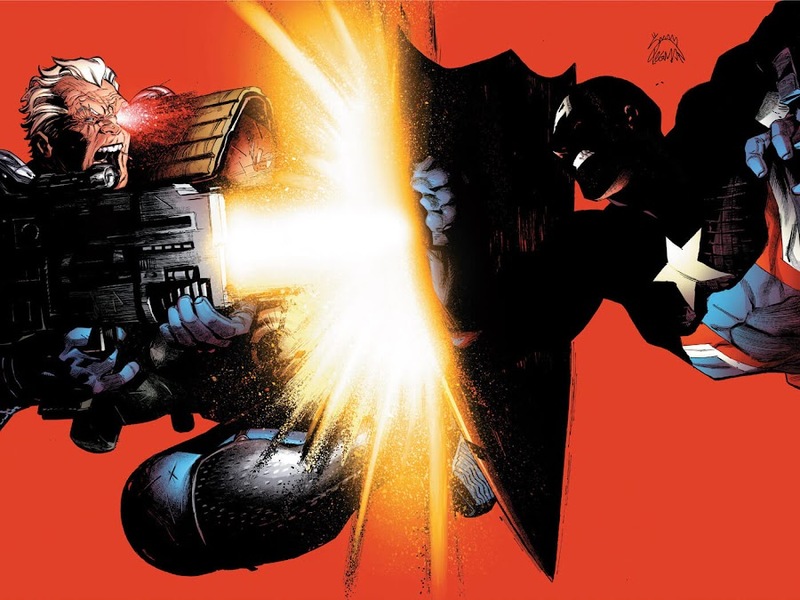 As aftermath of 'Infinity' crossover event led to a lot of change in Marvel Universe, there is a new threat on the horizon and it is Red Skull's "World War Hate". Plus, the secret adventures of Boltagon brothers with Illuminati to save Earth from incursions before "Time Runs Out" were hinted. Another trouble forms when Inhuman freelancer Reader took a job from Ennilux corporation about delivering a very powerful Nuhuman named Xiaoyi but ended up saving her from the corporation and their sinister leader Capo. Though this plotline has not directly influenced any major occurrences of "AXIS", it sure helped pave a new direction for Inhomo Supremis. Inhumans were just about to start their journey in human world and then suddenly the moral axis of their Queen Medusa being changed affected many things, leading to the next story-arc "Lineage". A short while ago, when The Mad Titan came to Earth looking for his son and threatened the survival of entire Inhuman race, King Black Bolt detonated a Terrigen Bomb out of desperation that spread a cloud of Terrigen Mists on Earth's atmosphere. Coming in contact of this mutagenic substance, anyone with a potential Inhuman genome in them has been turned into one. While the cloud was placing people into cocoons worldwide, a mysterious individual named Lash took it upon himself to collect those specimens. He would patiently wait for it to hatch and then decide whether or not the transformation is a success. Otherwise, he would simply incinerate the subject and go looking for a new one. Struggling musician Dante Pertuz from Des Plaines, Illinois, were going out for a weeding gig to support his sick mother and pregnant sister Gabriela when suddenly Mrs. Pertuz was heard screaming. He and Gabriela quickly rushed to her room to find her covered in a cocoon and at the same time he too undergoes Terrigenesis. Queen Medusa of Inhuman Royal Family quickly took charge of her people and her aide Elejea informs her that one of their own was found on Battery Park. Despite objections from S.H.I.E.L.D. agents at the scene she approaches and seeks help through Eldrac the Door in locating her now-missing husband and Inhuman King Blackagar Boltagon. Meanwhile, Lash approaches Dante Pertuz to join his cause with his exceptional gift of power but he retaliated on the former as he was about to obliterate Mrs. Pertuz still in her cocoon. Dante eventually took Medusa's side upon her timely arrival, which saved his sister and her unborn child. Lash is forced to retreat and Medusa was able to calm down Dante by smothering his flames with her hair. The remains of Attilan are now mostly in ruins residing on Hudson River and Dante is now training with Gorgon to learn better control over his powers. Then Captain America shows up at their doorstep with S.H.I.E.L.D. agents to check on her and Medusa soon finds herself allied with Steve Rogers in taking down A.I.M. agents to retrieve part of New Attilan's remains. 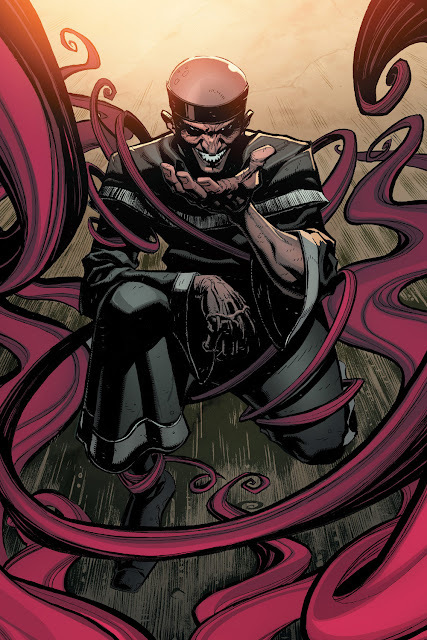 A mysterious Inhuman calling himself Lineage offers his aid to Medusa, claiming he posses the whereabouts of Black Bolt but not revealing his true intentions to anyone just yet. 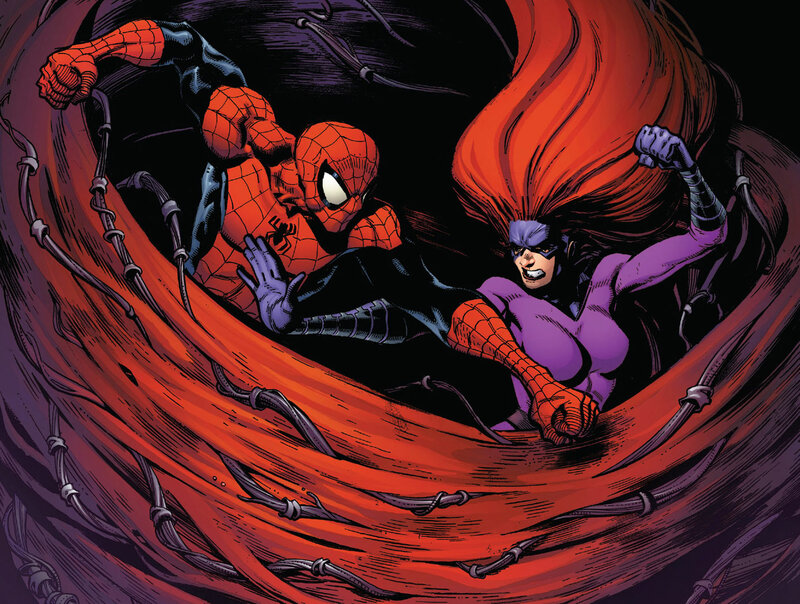 Queen Medusa led an all-out assault on Lash and his recruits on Orollan with Inhuman Royal Family at her side. Later, Thor visits New Attilan and there was a small occurrence during his presence. An Inhuman named Reader goes to China to recruit a powerful Nuhuman named Xiaoyi to their fold. 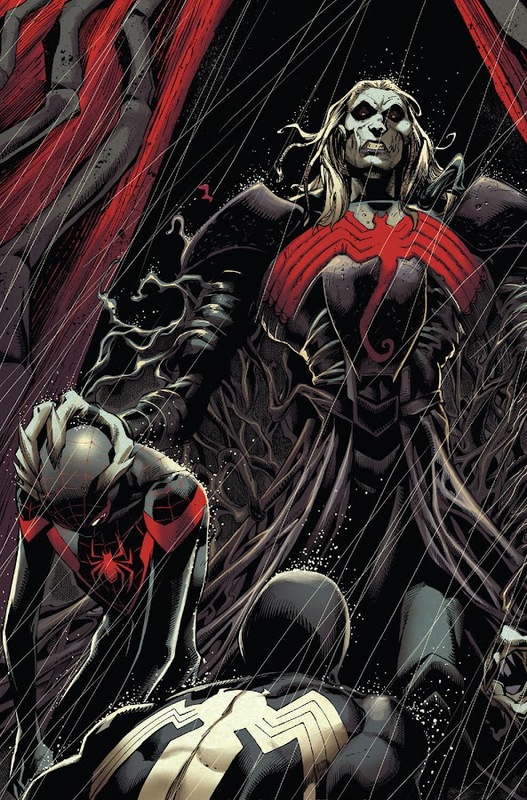 One of the worst enemies of Inhuman history; The Unspoken has finally returned with a tribute. 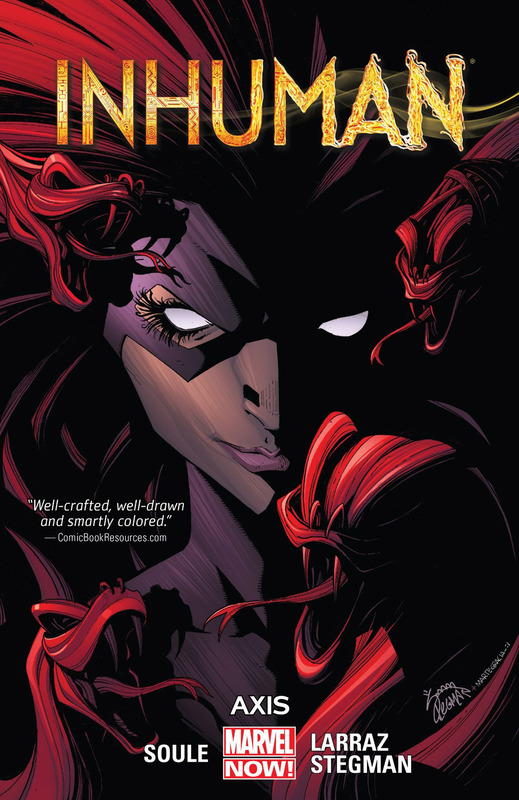 Here is your links to buy "Inhuman – Genesis" from Marvel Comics in issues on Amazon. Here is your links to buy "Inhuman – Genesis" from Marvel Comics on Amazon. Stepping into a brand-new monthly ongoing Inhuman comic-book series, writer Charles Soule (Death of Wolverine – The Logan Legacy, Death of Wolverine – The Weapon X Program), artist Joe Madureira (Deadpool – The Circle Chase, Savage Wolverine – Hands on a Dead Body) and Ryan Stegman (Fantastic Four, Scarlet Spider) preps up for a new chapter of Marvel Comics' one of most compelling characters roster ever. 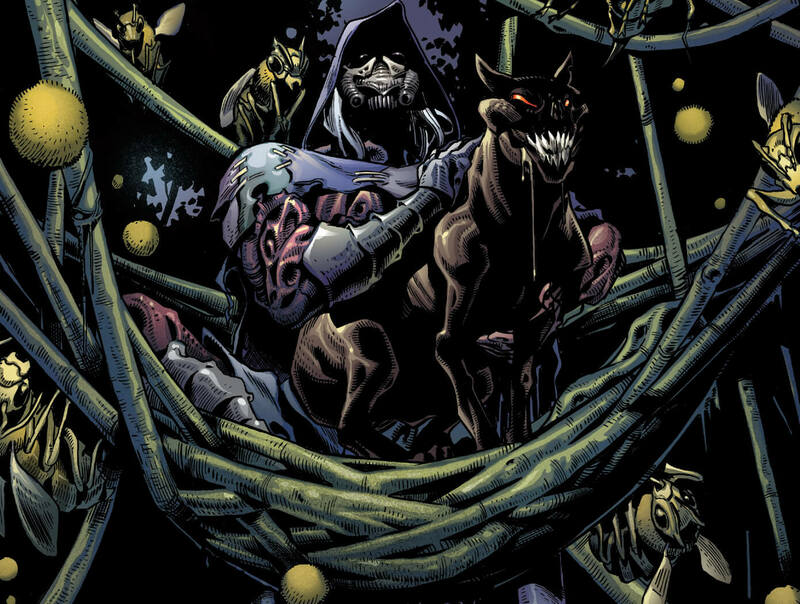 Titled "Genesis", the storyline consists of issue #01-06 from first volume of Inhuman monthly comic series, which is a follow-up to "Infinity" crossover event and a part of "Inhumanity" as well. 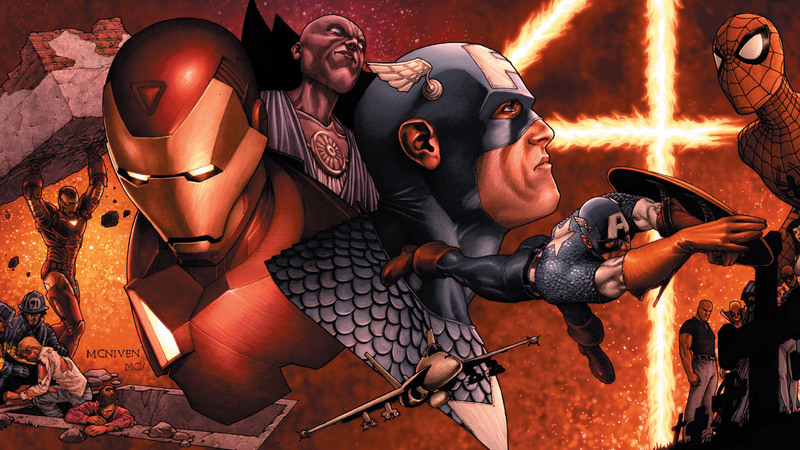 One thing that sets The Inhumans from The Avengers or X-Men is that, they are all family members and not just friends. This is why Marvel has brought over superstar artist like Joe Madureira back in the game to rejuvenate the franchise into all-new glory. 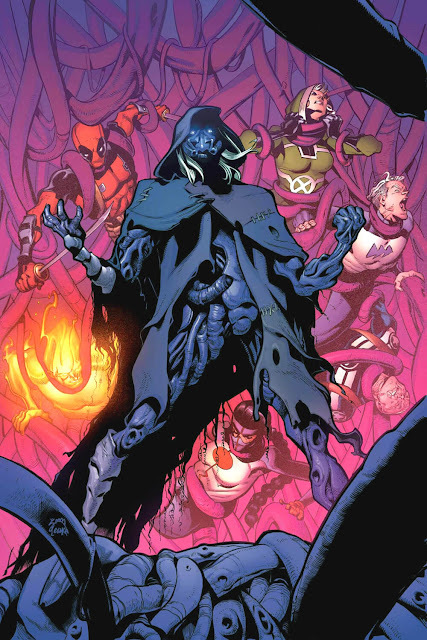 During post-Infinity period their race is forced to re-form once again but only this time, all of them are scattered and worst part is, their beloved King Black Bolt is missing. So, Queen Medusa is giving orders now and she leads her people quite very well. This story arc leads to upcoming stories "AXIS" and "Lineage" of Inhuman monthly ongoing series.